Here’s the thing. We could sit here and tell you what brand-new car you need to go out and buy right now that provides the absolute best driving control in ice and snow. We could assess safety ratings and tire combinations and a million other factors, but a) that would be incredibly boring, and b) by far the best way to make your car safer in the winter is to learn what the hell you’re doing as a driver. Instead, these are the fun cars. The classics. The sure-footed cars that feel at home on the snow. Yes, they’re all more than capable in the stuff -- you’re not going to see a ’65 Mustang here -- but they're also the cars that anybody would want to stop and watch if you saw them on ice. 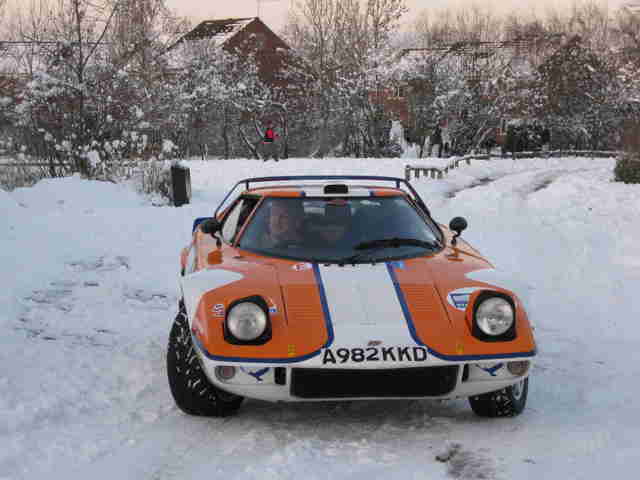 If you weren’t familiar with its history, the Stratos might strike you as a little odd, but the reality is it’s the world’s first all-terrain supercar. It follows in suit with the older 911 as a rear-wheel drive car that just happens to have the engine in a place that suits driving on a slippery surface. More to the point: there’s nothing between you and the side of the road except the car’s natural capabilities and your driving skill. The original Audi Quattro is so classic and so sure of itself that it almost seems like a crime driving one anywhere that isn’t a winter wonderland. If the Audi Quattro was a dominant force in the early 1980s, the Subie took the baton and never let it go. If the weather’s dry, you’re in a fine sports sedan that will get you from point A to point C faster than most people get to point B. Once it’s not so dry, you’d be hard-pressed to find a better car for quasi-legal shenanigans (read: donuts in frozen parking lots). Actually, the Huracán might have the WRX Subaru beat. It’s a bit harder to afford, for sure, and to my knowledge no one has actually tested one side by side with a Subie on a sheet of ice -- but it’s a damn capable car, and with that glorious V10 sitting right behind you, it makes incredible music when you’re doing donuts. You probably think this is weird, huh? Well, hold on to that thought, because this is one of the most classic old-school Mercedes sedans. Get it with a diesel engine and a manual transmission and drive it every day, and you have a very nice car to stay warm in. 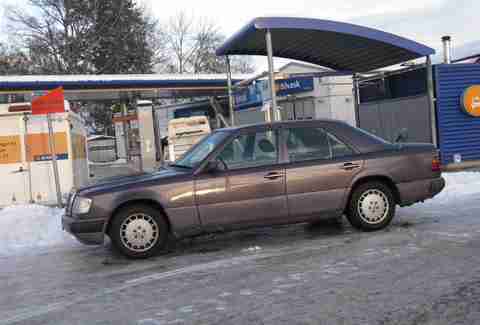 Drive that same car through 6in of snow, and you’ll start to understand why so many people consider the W124 to be basically a tank. 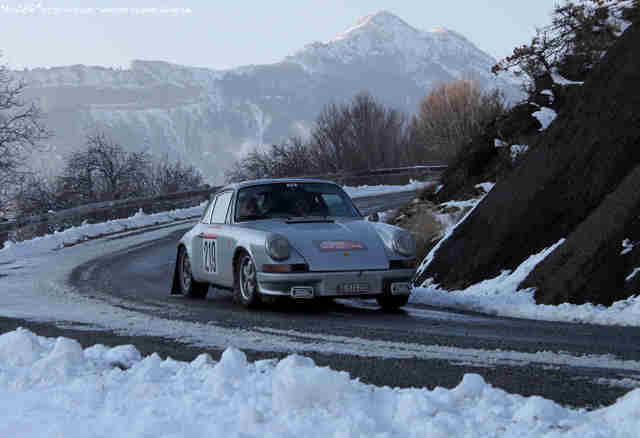 The 911 has always been winter’s best-kept secret. 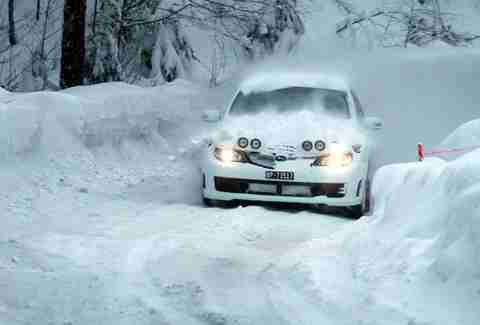 The engine in back helps with traction, making it a truly useful car when the greenery turns white. Today, buying a 911 with all-wheel drive and state-of-the-art traction and stability control makes driving in slippery conditions almost too easy. Why the Fiesta ST? You can pick one up brand new for just over $20,000 and have a reliable car that’s still a blast to drive, and it’s pretty effing competent in the snow, too. 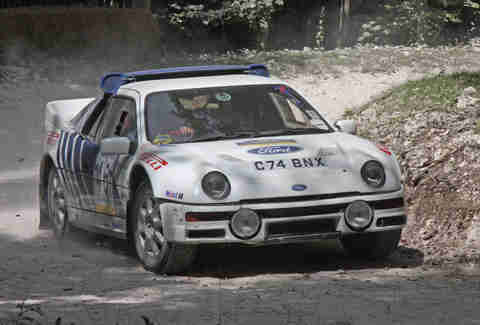 The RS200 is an interesting footnote in history. It was originally designed purely to qualify a rally car for international competition in the legendary Group B. 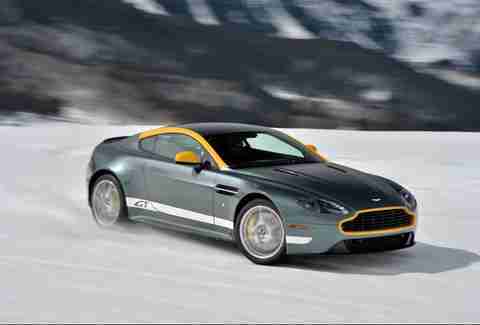 Instead, it became a killer mid-engine, four-wheel drive sports car that can still dominate on powder. If you’re wondering why in the hell a Bentley is on this list, first take a look at this photo. 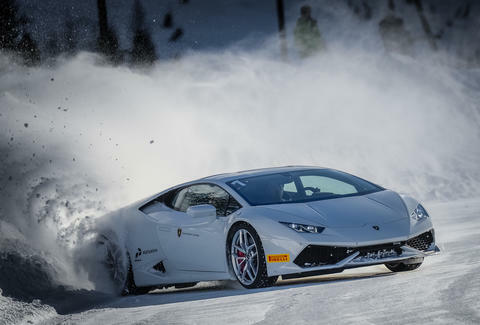 Sure, any number of vehicles can pull someone along on skis, but after the inevitable spill, name a single car that can warm you back up in such luxurious comfort afterwards... while still hitting 200mph on ice. 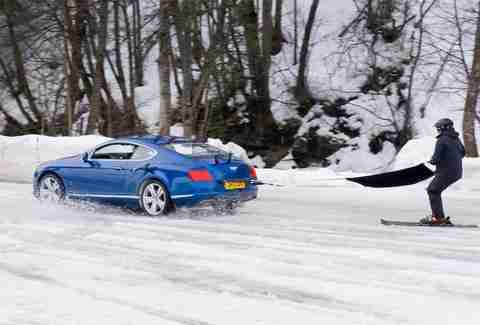 I don’t think anyone’s making the argument that Pierce Brosnan was the best Bond of all time, but something about seeing his Vanquish aka Vanish chasing a Jaguar XKR on ice is endearing. The chance to do so in any Aston is one that should be seized upon immediately. Aaron Miller is the Cars editor for Thrillist, and can be found on Twitter. He'll take the RS200 in a heartbeat.